Abandoned material helps officials add names to travel watch lists and check for terrorist cells, and the information has been shared with a 19-nation task force. WASHINGTON — U.S. intelligence analysts have gained valuable insights into the Islamic State’s planning and personnel from a vast cache of digital data and other material recovered from bombed-out offices, abandoned laptops and the cellphones of dead fighters in recently liberated areas of Iraq and Syria. In the most dramatic gain, U.S. officials over the past two months have added thousands of names of known or suspected ISIS operatives to an international watch list used at airports and other border crossings. The Interpol database now contains about 19,000 names. The intelligence haul threatens to overwhelm already stretched counterterrorism and law enforcement agencies in Europe, where the Islamic State has claimed responsibility for attacks in Paris, London and Stockholm this year. With the extremist group’s army and self-declared caliphate shrinking fast, U.S. officials are concerned that foreign-born militants who once flocked to Iraq and Syria will try to escape before the U.S.-led coalition or other military forces can kill them. In recent weeks, U.S.-backed ground forces have sent an estimated 30 terabytes of data – equal to nearly two years of nonstop video footage – to the National Media Exploitation Center in Bethesda, Md., a little-known arm of the Pentagon’s Defense Intelligence Agency, according to officials who spoke on condition of anonymity to discuss the intelligence. Analysts there are scrutinizing handwritten ledgers, computer spreadsheets, thumb drives, mobile phone memory cards and other materials for clues to terrorist cells or plots in Europe or elsewhere. The material came from Mosul, the militants’ self-declared capital in Iraq, which was recaptured July 9 after an eight-month battle. Other intelligence was found in the Iraqi city of Tal Afar, which was retaken Aug. 31, and from Raqqa, the group’s self-declared capital in Syria, where fighting is still underway. U.S. officials said they have gleaned planning ideas and outlines of potential operations rather than ongoing terrorist plots. But they also have gathered details about the group’s leadership and the hierarchy of fighters under command. 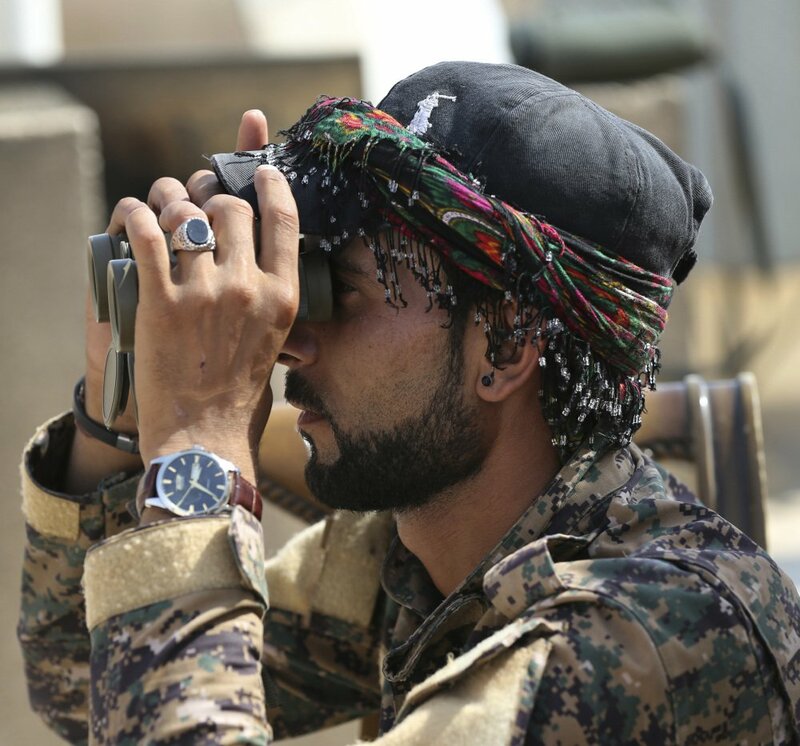 The biggest windfall came from what officials said were meticulous Islamic State records about the foreign fighters who arrived after convoys of black-flagged militants first stormed out of northern Syria and into Iraq in 2014. The records include their names, aliases, home countries and other personal information. The data has been shared with a 19-nation task force in Jordan, code-named Operation Gallant Phoenix, that tries to track foreign fighters in an effort to disrupt terrorist cells and networks. The task force is led by the U.S. military’s clandestine Joint Special Operations Command. “If we find information about foreign fighters from a certain country, we go through proper procedures to make sure it’s shared,” said Brett McGurk, special presidential envoy for the global coalition to defeat Islamic State. President Obama appointed McGurk in 2015 and President Trump has kept him on. “So it is a very comprehensive campaign, militarily, on the ground, taking territory back; collecting information; processing it; and then building the database and the system so it can be shared and acted upon,” McGurk said.